Luke’s Gospel tells us the story of that astonishing roller coaster week the apostles were experiencing. Jesus is welcomed into Jerusalem like a king just a week ago. Everything is great! They shared the Passover meal together (the Last Supper) on Thursday, and then everything falls apart on Friday. Now, just a few days later, they hear the stories that Jesus is alive. Then suddenly he is there, with them, in the room. Can you imagine the shock of that moment? Jesus greets them saying: “Peace be with you.” The disciples must have been stunned. Luke says they were "startled and terrified." Jesus shows them his hands and feet and offers them to touch him to see that he has flesh and bone, and is not just a spirit. What a powerful story. Jesus said to them that night that they are called to be witnesses of these things. They are witnesses of the fact that the Messiah had to suffer, and then on the third day, be raised. And, that his death bought us forgiveness for our sins. He told them, that night, to proclaim this to all nations. Thankfully for us, they did as he asked. We are here today because of their testimony; and, the testimony of all the disciples that would come after them. We are called, like those who brought the faith to us, to carry this message in our time. Is there a greater honor? Is there a higher calling, in the entire universe, than to be a witness to the living and risen Lord? To tell the story of how he suffered and was raised on the third day; and to proclaim the forgiveness of sins in his name to all we know. How well are doing this? I can’t speak for you. But it often feels like I’m just trying to survive from one day to the next. And it seems that we hide this great message away, somewhere, and forget to share it. This reminds me of the story of Luigi Tarisio. Luigi was an Italian violin dealer and collector in the 19th century. When he died in Milan they found 24 Stradivarius violins in his attic. A Stradivarius violin is among the most coveted items in the world, considered to be the best-stringed instrument ever created. When they finally played the best of these beautiful violins they found that day, it had been 147 years since anyone had heard it. Luigi had robbed the world of all that exquisite music. Sadly it seems that many of us are like Luigi Tarisio. We have a found the greatest treasure in the world, the love of Jesus Christ, and yet we keep it to ourselves, hide it away. “My friends Oh, I pray to God that what has happened to me will never happen to one of you. I pray that you’ll never know the humiliation, the shame, of not being able to perform one human act. “Oh, I pray to God you will never know the pain that I live with daily. It is my hope and my prayer that what has happened to me would never happen to one of you. The impact of Brian’s words was electrifying. The most powerful witness to Jesus often takes place without the people involved being aware of it. And that’s what happened in that auditorium in Estes Park, Colorado. 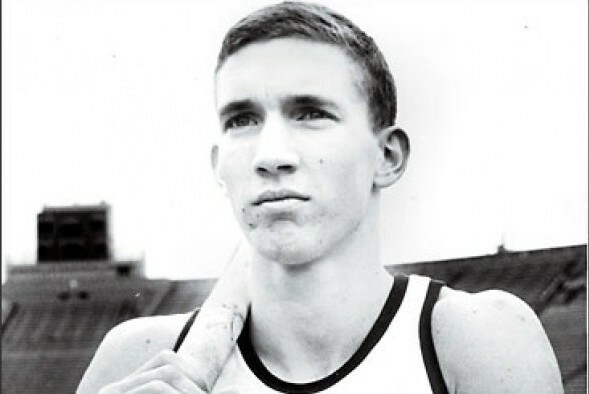 Brian Sternberg’s was sharing the deepest part of himself and his convictions about life with a group of brother and sister athletes and coaches. Witnessing to Jesus is testifying by our lives that the power of the risen Jesus has touched us and transformed us. It’s doing what an 87-pound young man did on an empty stage in Estes Park, Colorado. It is letting Jesus speak through us to other people. You never know, something you say, may change someone’s life for eternity. Stop hiding your faith away. "The greatest misfortune is to live and die without knowing God."